To survive in today’s hypercompetitive marketplace, leaders must find ways to elevate the performance of their employees. By continuously setting higher goals to strive for, strengthening employee competencies via coaching, and providing feedback to employees, leaders can create a positive performance cycle. This leads to improved individual and team performance along with business planning and continuity and, ultimately, stronger operating results for the organization. 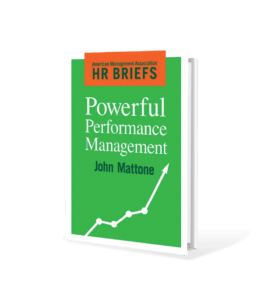 This action guide covers the three stages of performance management: goal-setting, coaching, and performance review. It includes step-by-step instructions and tips, the 10 elements of positive performance management, the five steps to preparing for a review, guidance on how to prepare the employee and engage them during the review, the most effective steps you can take to improve performance, and more.